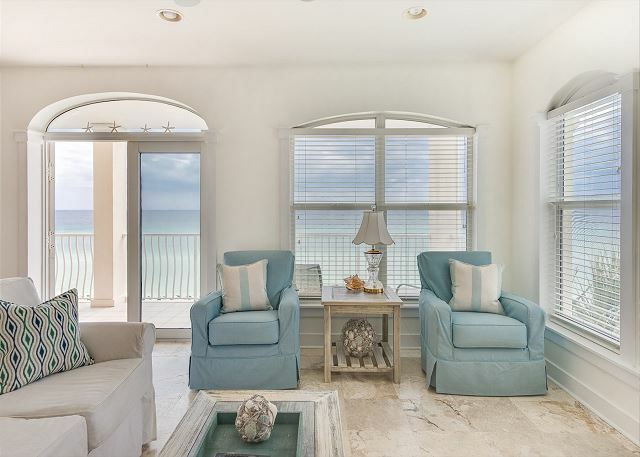 See the ocean and beach spreading out for miles in both directions when you stand on the large balcony of this very special, recently redecorated 4-BR beach front condominium. 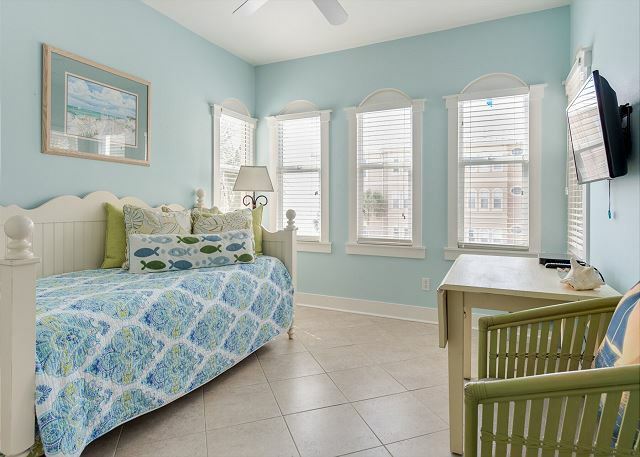 Located on the third floor of 4-story building (served by elevator) in the small, beautifully landscaped Sunset Beach community, within sight of popular Rosemary Beach and only six miles east of Seaside. Repainted inside this spring. Also new heating and a/c system along with new large refrigerator. 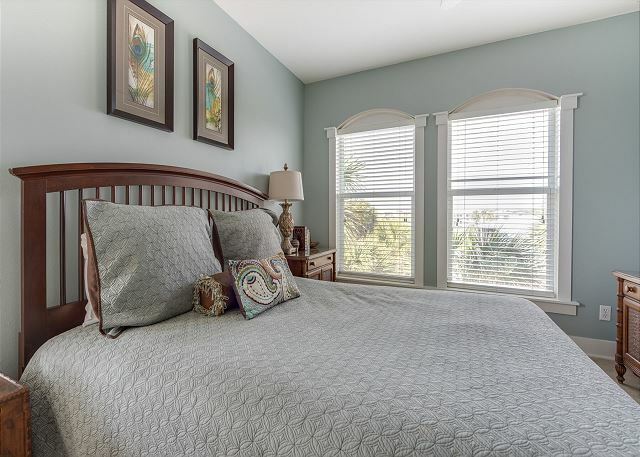 King bed in master bedroom (which has an ocean view), queen bed in second bedroom (ocean view also), two double beds in third bedroom, trundle bed in fourth bedroom (ocean view also) folds out into two single beds. The new sleeper sofa offers a pull out queen bed in the living area. Discover why almost half of our guests come back again! 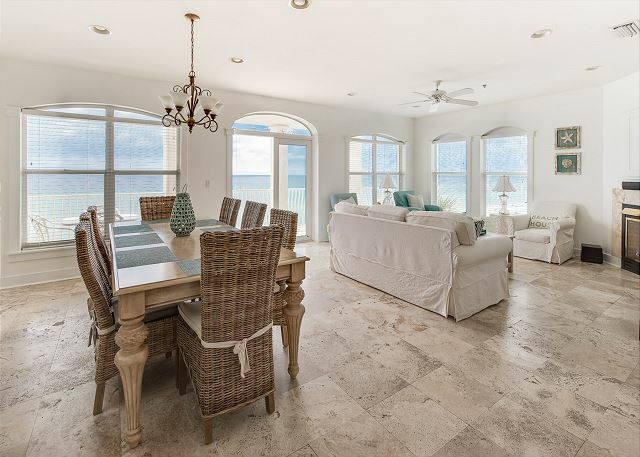 This luxurious, Gulf front property is located in the charming, gated community of Sunset Beach Villas. 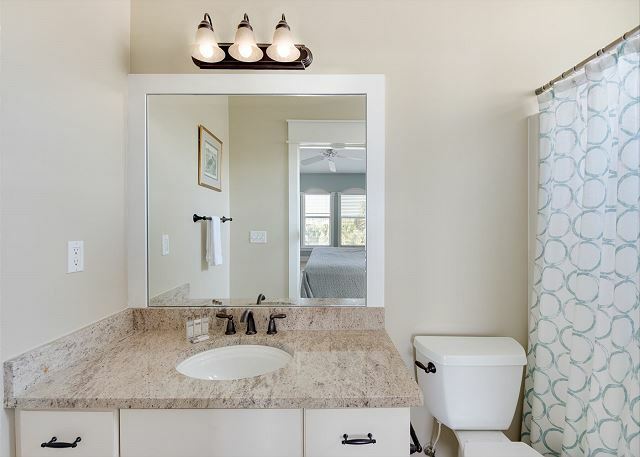 Nestled between the busy communities of Rosemary, Alys, and Seacrest Beach, you’re only a quick walk to fun family activities, delicious restaurants, and desirable shopping strips. 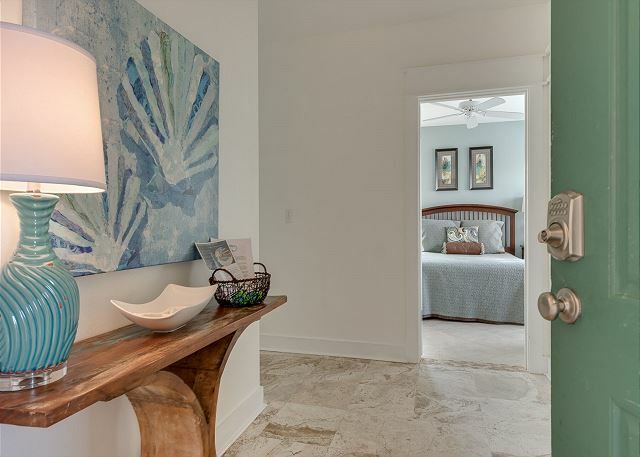 The moment you enter through the gates at Sunset Beach Villas, you are welcomed by a beautiful palm tree lined community with cobblestone streets that lead you straight to Gulf views. 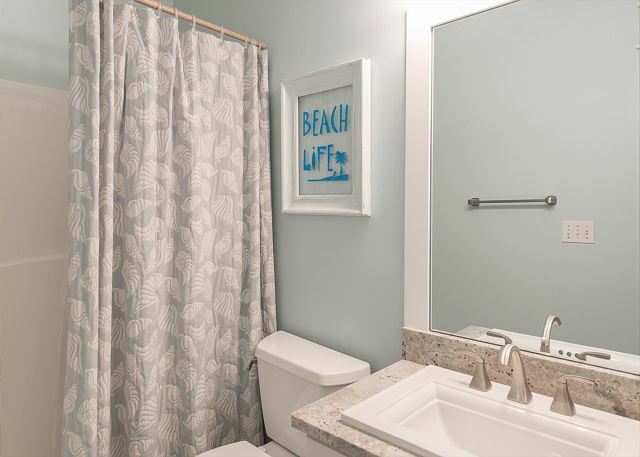 This condominium is one of three, and is located directly to the left of the pool, and has an elevator right outside your door providing easy accessibility to both the white, sugary-sanded beaches, as well as all of the available amenities in this community! You will find all that you need in this well appointed home. The living room is very comfortable with a TV, DVD player, and plenty of seating for all of your guests. The dining table seats eight comfortably with additional seating at the kitchen island. The bedrooms setups are perfect with a large master bedroom/bathroom suite. 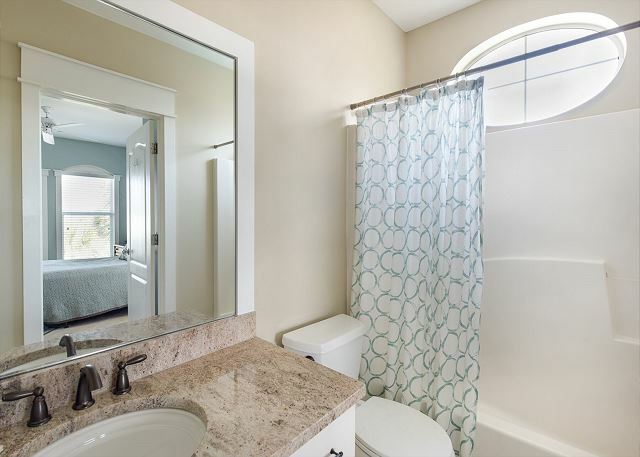 The master bedroom features an elegant king sized bed, a TV, and its own large bathroom with two vanities, large glass-enclosed shower and garden tub. Bedroom #2 contains a queen-sized bed, TV and a private bathroom. Bedroom #3 contains two full sized beds, TV and an adjacent bathroom, which is located off the main hallway. The bedroom layout of this home provides privacy for everyone. 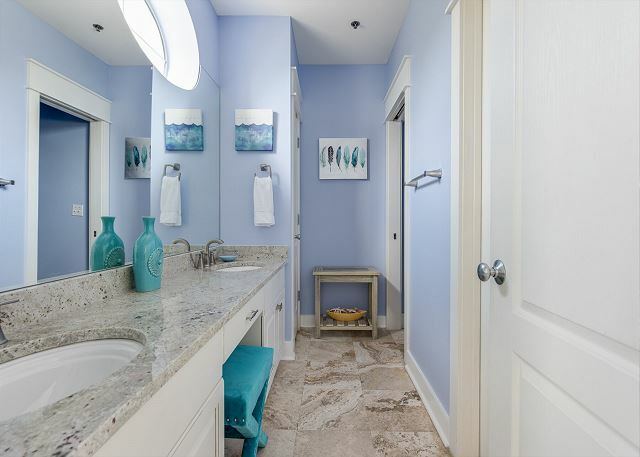 There is also a separate laundry room with full sized washer and dryer. 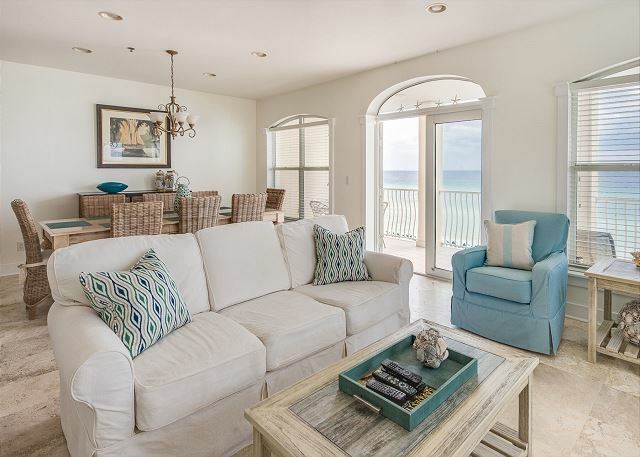 The beauty of the Villas at Sunset Beach (#A302) is an experience you’ll never forget! Amazing views. Perfect size for our family. We loved the location. Would definitely return! Awesome. 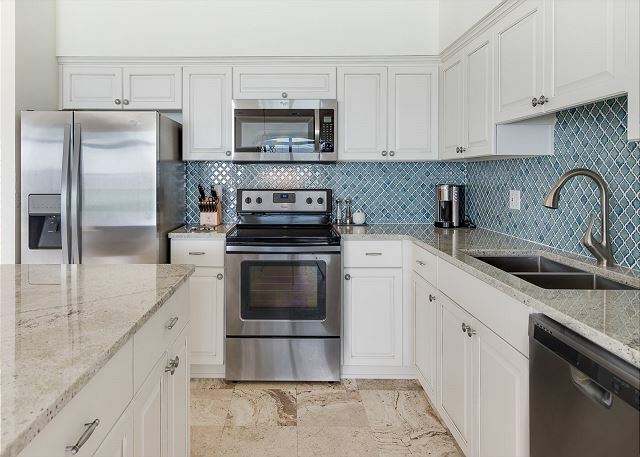 The unit was "deep cleaned" for us through the efforts of Kristina, our realtor associate.Stayed month of February and the views are terrific. Thank you Denny - we hope you will come back and see us again! He is right about the views - it truly is amazing! All you have to do is sit yourself on the balcony, take a deep breath and relax - that's all there is to it! 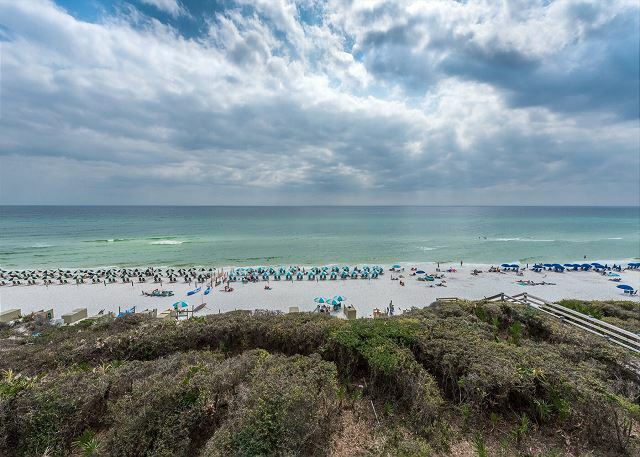 You can sit all day and watch the waves roll in and maybe even catch a dolphin or two! Ready for some pool action - head on down to the beautiful community pool and enjoy meeting a few new friends! Ready to turn in for the evening - lots of space to get comfy and relax. 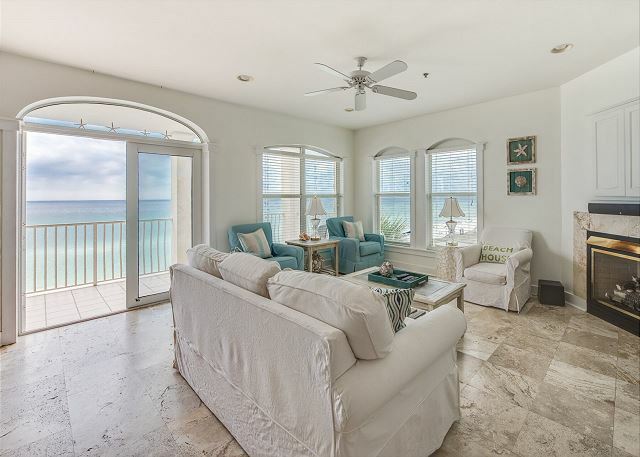 Everything you can imagine for the perfect beach vacation is right here at Sunset Villa. Call Benchmark today and let us set you up! Our visit to Sunset Villa marked the 12th year in a row in this unit. 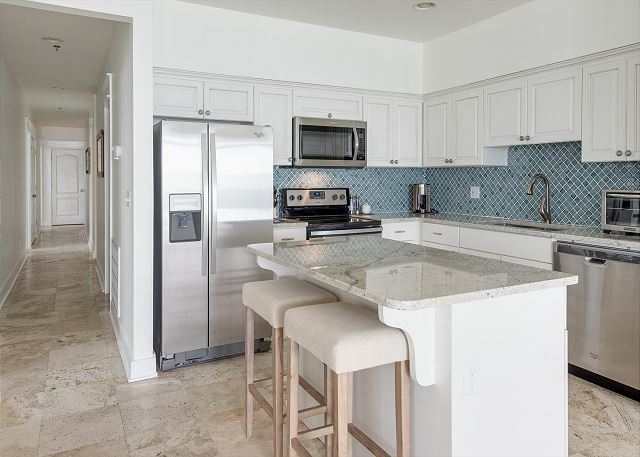 It is a beautiful and comfortable condo, and the location simply cannot be beat. 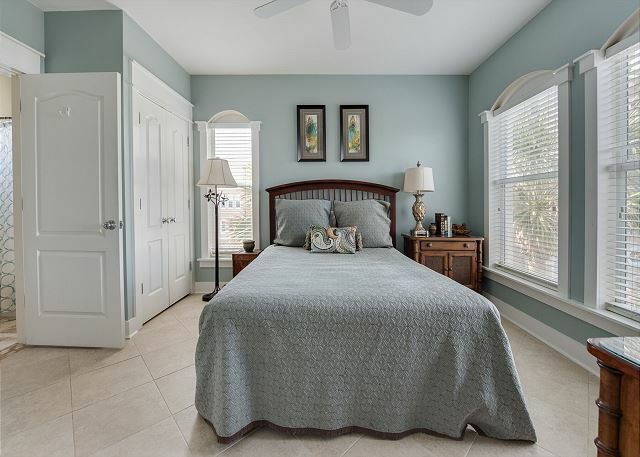 My only negative comment is that the mattresses in the front bedroom, off of the entry way, and the room with the double beds, are in serious need of a refresh. Otherwise we have no complaints and highly recommend the unit and the area. 30A is a very special place! Thank you for submitting your review. We will be investigating the bed situation as it is very important to us that all our guests are as comfortable as possible! And we couldn't agree more - this is a wonderful unit on one the most beautiful beaches in the world! This is a gated community with a pool for your enjoyment! The view from the balcony is hard to beat - nothing more relaxing than enjoying your morning coffee while watching the waves roll in. Need to get out and explore? Within minutes you can find some of the areas finest dining and shopping experiences! Join us at Sunset Villa and make lasting memories with your family! Call Benchmark today and we can help! UPDATE: As of December of 2018 the mattresses have been replaced - all new, comfy and waiting for you!! Overall a good experience. We had an AC issue and one other maintenance issue that were resolved promptly. Thank you for submitting your review! We do apologize for the issues that were encountered - fortunately we were able to get them address very quickly with limited disturbance. It is always our priority to ensure that everything is well maintained and in good working order for you and your family. Isn't this unit amazing?! Hard to beat the view from the balcony - but if you want to stay inside there is a very spacious, open concept kitchen and living area for you and all of your guests to hang out in and enjoy cooking together or maybe playing a few card games! There is always something to do at Sunset Villa - it is a beach lover's dream! Call us today to schedule your little piece of paradise! This vacation rental was truly amazing! 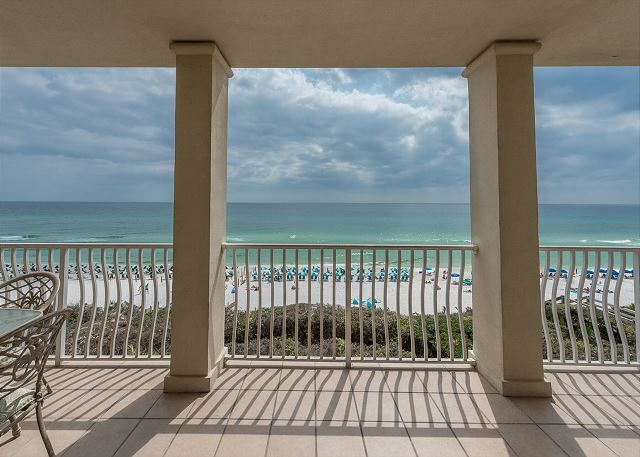 We loved drinking our morning coffee on the balcony overlooking the Gulf. The rental was spacious and beautifully decorated. We were within walking distance to restaurants and shopping. We couldn't have asked for a better location. Thank you for submitting your review! We are so glad you enjoyed your time spent at Sunset Villa - we agree - what a wonderful location! Doesn't get any better than the view from the balcony! 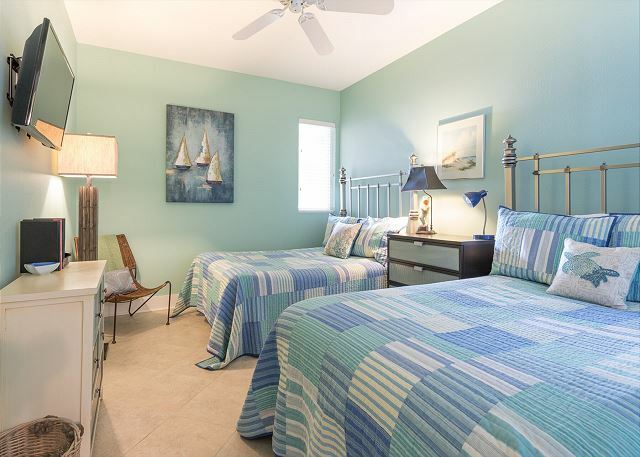 The unit itself is also wonderful with its beach decor and plenty of space to create those family memories. 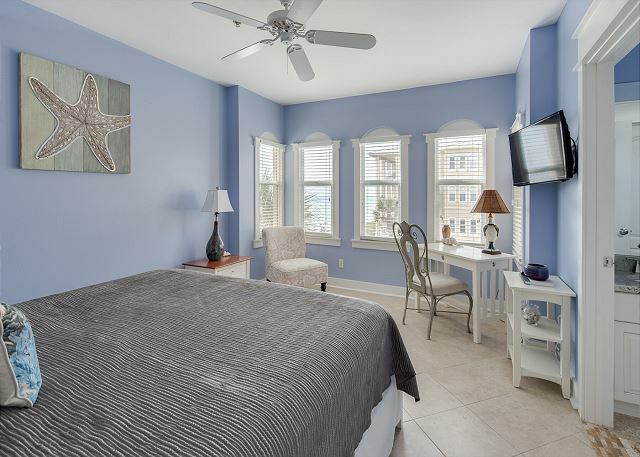 We welcome you back year after year - once you have experienced Sunset Villa in the heart of Seacrest Beach it might be difficult to consider going any place else! Call us today to make your reservation for Sunset Villa! Location, location, location... When you get up in the morning and see that ocean it's as if nothing else matters. Thank for you taking the time to submit a review. You are so right about the location - hard to beat that view isn't it! If you want a beach vacation then this is your spot! On the beach, pool is right there and several shops and restaurants within walking distance - fun, fun, fun! Hope you will join us again soon! Sunset Villa was perfect for a girls trip. The views were outstanding, the rooms and accomodations were perfect for the the six of us. Jimmy and the staff were wonderful and very accommodating throughout our stay. We would definitley come back and request this unit. If there was one thing that I would improve, this would be changing the slip covers on the sofa every time someone came in. Have two slip covers, so you always have one that is clean. We came in at the end of summer and on Labor Day Weekend, the unit is in need of a deep cleaning. Yet the surface areas were clean. We would still come back, it was a great experience! Thank you for your review - your comments and suggestions are very important to us! We will certainly be taking your suggestion of having an extra set of slip covers into consideration. We are always striving to improve the condition and cleanliness of all of our properties so that every guest is comfortable and satisfied! We would love to have you back again soon! We enjoyed our stay at the condo in Seacrest Beach. The accommodations were beautiful. This is a very nice home away from home. We did feel we had to do cleaning before we were really comfortable with the condo, nothing serious but we did not expect to have to clean dust, sand etc. Seems to need a deep cleaning but we also understand our trip was late in the season. This condo could have used more drawer space and hangers in the closets (had to go and buy hangers immediately so we could unpack). One disappointment was all of the rental umbrellas on the beach takes away from the ambiance of the view as well as being able to walk the beach in the morning--we understand you have no control of this. All in all, we had a wonderful trip and would plan to visit again. Thank you for taking the time to submit your review and we are glad that you enjoyed your stay! We do want to address the cleanliness issue - we have recently changed companies that will be cleaning this unit for us so we will be watching closely to ensure that our high standards are being met - I am sorry that you experienced otherwise. We do hope to assist you with your future travels! The condo was perfect. Plenty of room for 9 people(including 3 Kids) A bed for everyone. Location overlooking the beach and pool area was great. was rude, had a chip on her shoulder and was more concerned about wrist band monitoring than the condition of the pool. I would run her off immediately. The monitor assigned to the same task during the week was relaxed, cordial, and had a great attitude, yet, very diligent. The cluster of guest beach umbrellas was cumbersome to navigate around. It was a busy time though. Thanks for your feedback about your stay. As far as the pool condition and the pool "monitor" attitude I want to apologize. Unfortunately, these services are provided by the HOA and we as the rental managers of the unit have zero control over this. I do see that you rated the overall cleanliness as a one. I am hopeful this also had to do with the condition of the pool. We strive to keep housekeeping to a high level. We will review who did clean before your stay to determine if there might be some type improvement we can make at our end. Thanks, again for the feedback, Sunset Villas are a great place to vacation! Come back and visit us again. Seacrest and the surrounding areas are very nice. 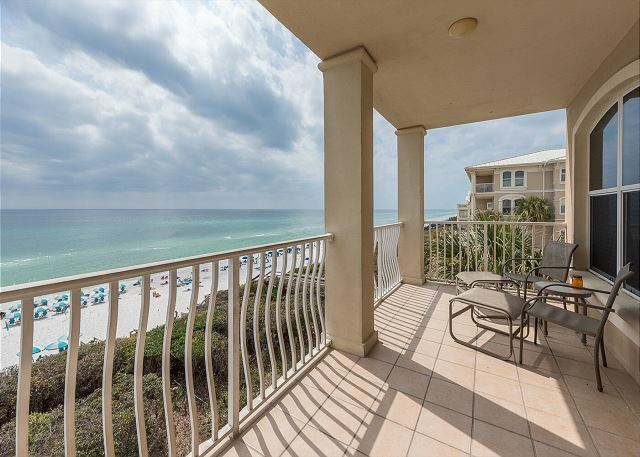 Our condo was in a great location with a beautiful view of the gulf. The condo was spacious and the interior was nice but the living room furniture seemed a bit dated and the patio furnishings were pretty sad. The coffee pot was missing a piece which is never good. We were also supposed to have two bikes with the unit and it took until Wednesday to figure out where they were in the mass of bikes on the bike rack. The beach area and beach access areas were very crowded as everyone from across 30A was using them also. We had a private pool for the beach condo buildings but it was hard to get in and out sometimes because of all the people walking around outside. 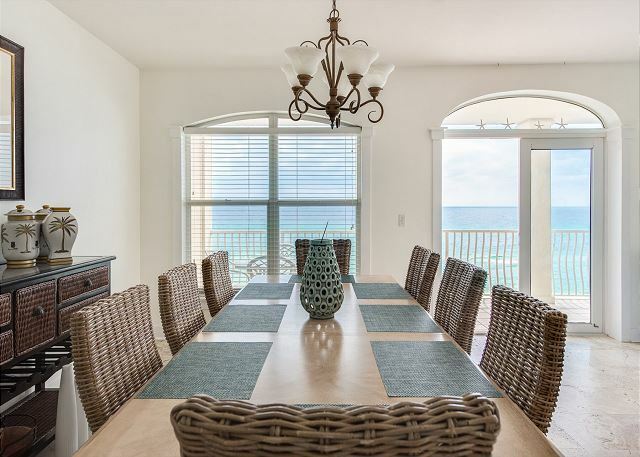 We would go back to Seacrest because the location is great and if the condo was cleaned a little more throughly and the furnishings were updated a bit, we would definitely stay there again!